Book historians have long acknowledged the importance of private book lists and library inventories as a source to study book ownership and print culture before the advent of public libraries and mechanized book production in the nineteenth century. Private libraries often fulfilled essential functions within reading communities, through family and professional networks, and through other networks of informal, interpersonal book lending. In some cases, private libraries laid the foundations for later, public institutions providing access to books. Despite the bourgeoning of case studies focusing on multiple aspects of private book ownership, and on specific collectors and their libraries, scholarship is still hampered by the lack of overviews of the source material: private library inventories. These include a broad range of materials, from printed library sales catalogues to probate inventories and manuscript inventories for domestic use. Even for the most well-documented of these sources, auction catalogues, it is however impossible to provide plausible estimates of the extant numbers today. Private inventories can be found in archives, libraries, and other institutions in Europe and beyond. Many of these are located well beyond their original place of production, making it essential to approach any overview from a transnational perspective. The available resources are sometimes fragmentary, dispersed or difficult to access, for both material, historical (the massive destruction of archives after WW II in central Europe) and linguistic reasons (south-eastern Europe, with its Ottoman legacy). As part of the ERC-funded MEDIATE project (Middlebrow Enlightenment: Disseminating Ideas, Authors, and Texts in Europe, 1665 – 1830, www.mediate18.nl ), an international team of book historians is currently putting together an Open Access database, BIBLIO (Bibliography of Individually-owned Book and Library Inventories Online, 1665 – 1830) that will provide basic bibliographic records for all extant Dutch, French and British private library (sales) catalogues in this period, including catalogues preserved in libraries in other parts of the world. what kinds of private book inventories (e.g. auction catalogues, domestic inventories) were produced during the period 1665 to 1830, and is a general typology possible? what were the various functions of private library catalogues and inventories (e.g. commercial, rhetorical, aspirational, civic) between 1665 and 1830 and how are these displayed in the inventories themselves? what were the uses to which private libraries were put (e.g. 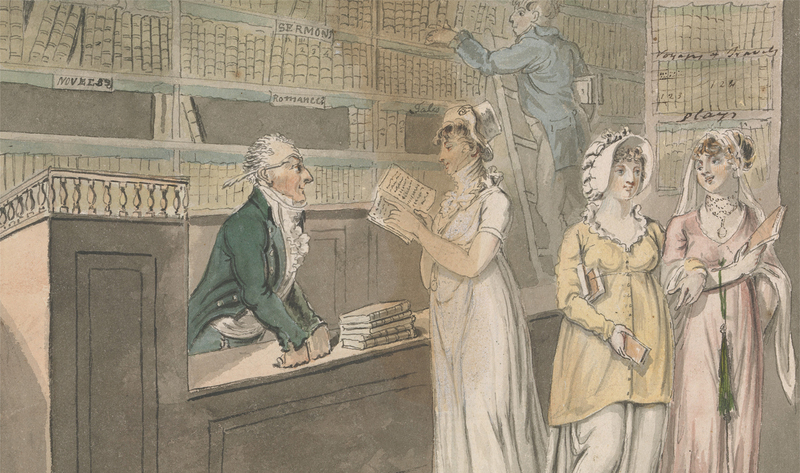 as instruments of self-improvement, informal lending networks, or part of consumer culture) and how do these affect interpretations of library inventories as a historical source? what patterns can be identified in practices of recording private book ownership in specific regions or contexts (e.g. practices of book auctions, preferences for certain kinds of reading material, particular kinds of inventories)? what scholarship on private book inventories between 1665 and 1830 exists already in specific linguistic or geographical regions? What is the focus of this scholarship, and what is missing? what are the most important libraries, archives and other collections containing private book inventories, what kinds of holdings do they have, and how were these collections constituted? Authors are encouraged to move beyond the level of the individual case study to propose a more general reflection on private library inventories as source material, their uses and specific challenges they pose to researchers. The final publication will include a substantial bibliographical overview of publications available and a guide to resources per linguistic or geographic region, to which all authors will be asked to contribute. Please send your 300-word proposal, together with a short bio-bibliographical statement listing your current affiliation by April 1st, 2018, to both conference organizers: Alicia Montoya, a.montoya@let.ru.nl and Rindert Jagersma, r.jagersma@let.ru.nl. Speakers will be notified by June 1st, 2018 of their paper’s acceptance, and will be provided with further conference details then. The MEDIATE project will cover hotel and conference costs; speakers will be expected to cover their own travel expenses. July 19-20, 2018: Digitizing Enlightenment III : Prosopography and Networks, Oxford University. July 15-19, 2018: XIth Congress of the European Association for Jewish Studies, Krakow. June 21-23, 2018: Print and Power. The St Andrews Book Conference, University of St Andrews. June 16, 2018: Book Trade Catalogues in Early Modern Europe, University of St Andrews. June1, 2018: Jubileum conference of the Nederlandse Boekhistorische Vereniging, Amsterdam. April 23-26, 2018: Congress of the Comité des Travaux Historiques et Scientifiques. Ecole nationale des Chartes, La Transmission des Savoirs, Paris. November 28, 2017: New sources for book history conference, British Library, London.